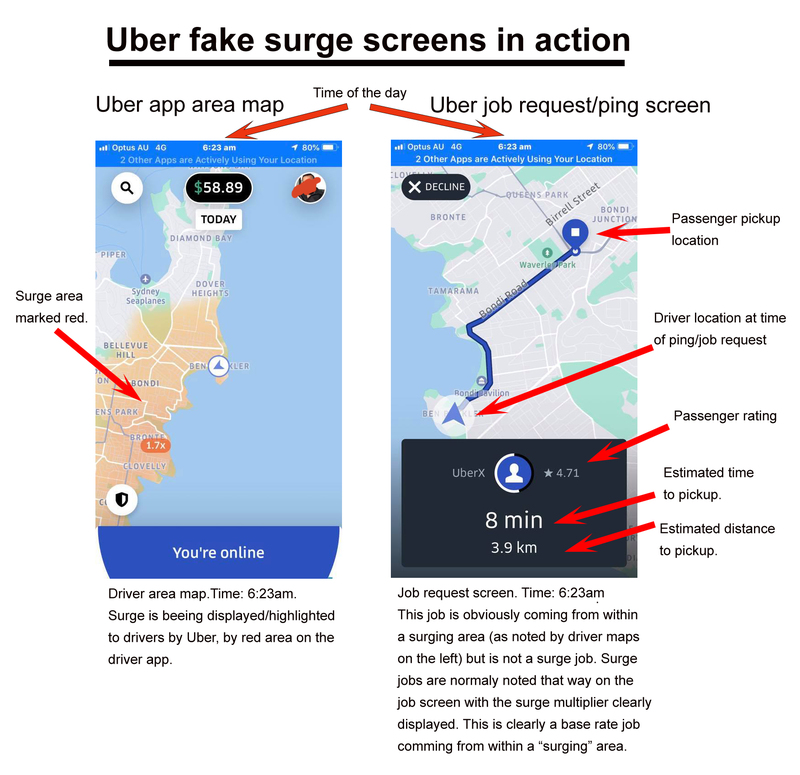 In our article dated November 10th 2018, we informed drivers to be aware of Uber’s recent fake surge strategy. This new strategy is clearly designed to lure drivers to where Uber wants them and fast, while not paying them promised surge rates. What the legal professionals often refer to as “Misleading false advertising”. For those who are trying to make sense of it all, here is a demonstration of Uber’s (fake) “surge” communicated to drivers. Note how the job(s) coming from a supposedly surging area is clearly just a base rates job. The RSDU has been overwhelmed with responses from drivers ever since originally releasing the story, all describing a similar issue in their city. This is obviously a nation wide issue. ↘ Read next: Uber is feeling the competition pinch, enticing drivers with fake surge! Previous Post:Uber is feeling the competition pinch, enticing drivers with fake surge! Next Post:Melbourne city council erroneously fining Uber drivers for stopping in loading zones.